Defining disproportionality and the identification of Native American Students in special education. History, culture, tribal sovereignty, and language and the impact on student achievement. School climate and its effect on student, family and community engagement. Overarching view of Native American student achievement in Wisconsin and the use of data to improve results for students. Culturally relevant teaching strategies that have positive learning impact for all students. "Continuing the work" - useful and helpful resources. 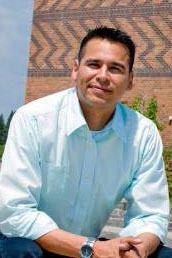 RunningHorse Livingston is the founder and CEO of Mathematize Inc., whose mission is to promote education and educationally related opportunities for Native people. RunningHorse, a nationally recognized educator and consultant, has spent 13 years helping teachers across the country make sense of their roles in the age of Common Core standards and making schools more constructive places for Native children. He is an expert in mathematics instruction and school reform. As a member of the Bad River Band of Lake Superior Chippewa, RunningHorse has for the past 10 years, provided professional development to teachers, school administration, school boards, and tribes around the nation in the areas of mathematics, and school and tribal professional relations. There are no fees to attend this event, but pre-registration is required. Indicator 4B: Policies, procedures or practices that contribute to the significant discrepancy and do not comply with requirements relating to the development and implementation of IEPs, the use of positive behavioral interventions and supports, and procedural safeguards. For questions about this event, contact Bethany Dahlberg at (715) 986-2020, ext. 2126 orbdahlberg@thenetworkwi.com.